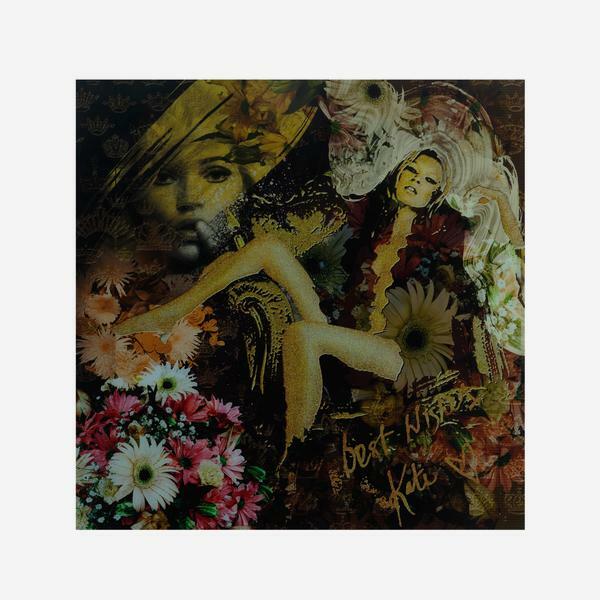 A large photo-manipulated artwork, mounted in acrylic, of Kate Moss reclining on a bed of blooming flowers. 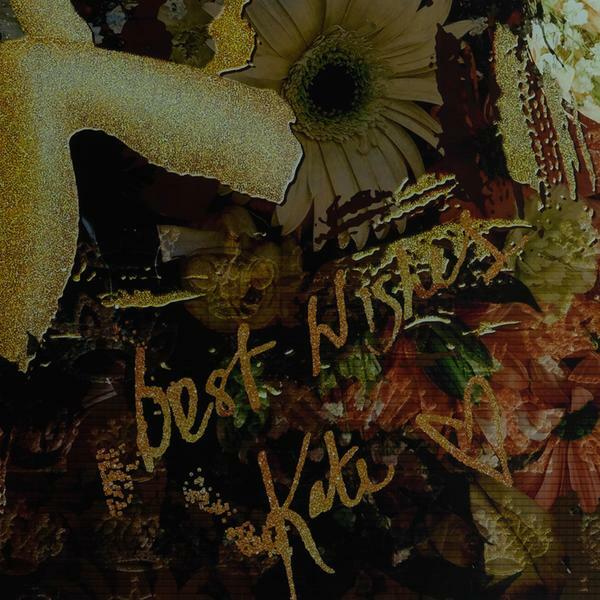 Sensual, seductive and full of feminine glamour, Kate signs in gold glitter with her best wishes. 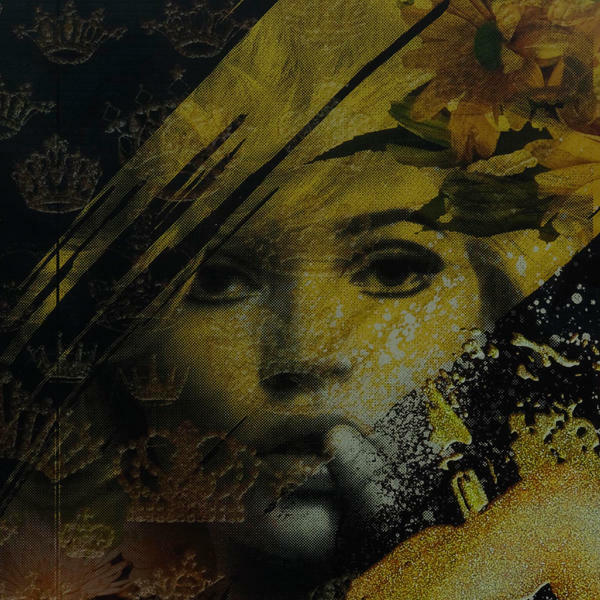 This is a limited edition artwork with only 75 pieces produced and a certificate of authenticity with its limited edition number.